Use Both @ The Same Time! People ask me all the time are my lashes false so here is how you can get the look! 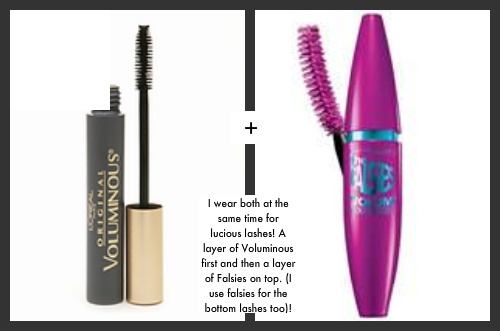 Quick tip for FULL LUSCIOUS LASHES w/o having to wear false ones! I wear both mascaras at the same time. Layer of the Voluminous on top lashes and then a layer of Falsies on top lashes too. I also like to use Falsies on the bottom as well! « Who Said Yogurt Was Just For Eating!